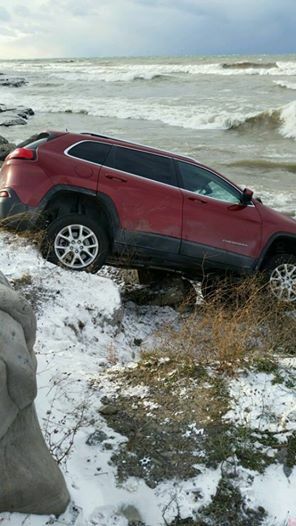 OSWEGO, NY – Two people escaped injury today as their car went over an embankment and landed precariously on the shore of Lake Ontario, according to the Oswego Fire Department. According to officials, the driver lost control and the vehicle went over the bank and landed on the rocky shore just a few feet from the water. According to OFD officials on the scene, the vehicle was stabilized and two people were assisted to safety. The pair was then evaluated and released.